If socialism has made a comeback, it is not because people have ‘forgotten’ about how bad things were in the Warsaw Pact countries, Maoist China or other socialist countries. It is because socialists have successfully managed to distance themselves from those examples. Democratic socialists have been so successful at convincing themselves (and others) that historical examples of socialism had nothing to do with socialism, they tend to react with genuine irritation when a political opponent brings up any such example. They tend to see the mention of these examples as either disingenuous, or simple-minded (or both). It is either a straw man – a rhetorical stick which anti-socialists use to beat socialists with – or a sign that an opponent is intellectually incapable of understanding the difference between a good idea and a distorted application. Given that more than two dozen attempts to build a socialist society have ended in varying degrees of failure, insisting that none of them were ever ‘really’ socialist is the only way in which modern-day socialists can protect their worldview from refutation. However, this book will show that there is a major flaw in the not-real-socialism narrative: the fact that it is usually only deployed after the event, that is, after a socialist experiment has already been widely discredited. This book will show that as long as a socialist experiment is in its prime, its socialist credentials are rarely in doubt. As long as socialism seems to work, it is always ‘real’ socialism. It is only when it fails, and when it becomes an embarrassment for the socialist cause, that it is retroactively recategorised as unreal. 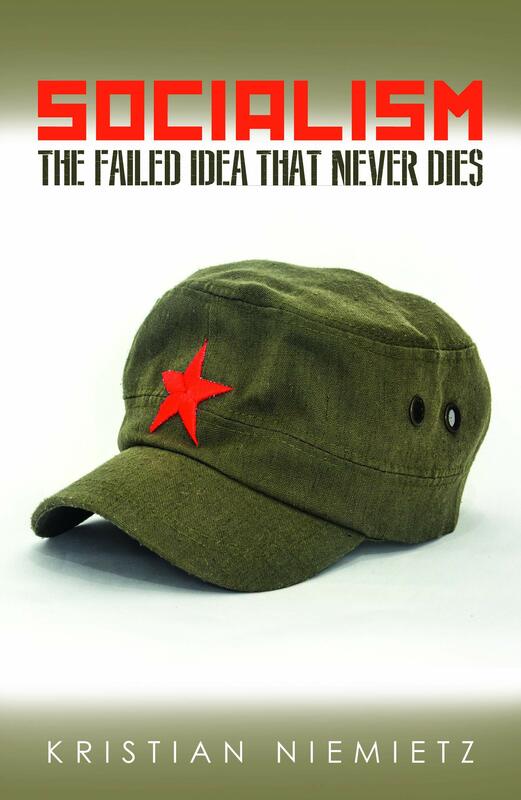 This book will show that virtually all socialist experiments in history – including and in fact especially the Soviet Union and Maoist China – were, at some point or other, widely endorsed by prominent Western intellectuals. They were all held up as ‘real’ socialism. Until they ceased to be ‘real’ socialism, and retroactively became unreal socialism. More precisely, this book will show that in terms of their reception in Western countries, socialist experiments usually go through three distinct phases. The first stage is a honeymoon period, during which the experiment has, or at least seems to have, some initial success in some areas. During this period, its international standing is relatively high. Even anti-socialists concede, grudgingly, that the country in question has something to show for it. During the honeymoon period, very few dispute the experiment’s socialist character; almost nobody claims that the country is not ‘really’ socialist. On the contrary: during the honeymoon period, large numbers of Western intellectuals enthusiastically embrace the experiment. Self-declared socialists claim ownership of it, and parade it as an example of their ideas in action. But the honeymoon period never lasts forever. The country’s luck either comes to an end, or its already existing failures become more widely known in the West. As a result, its international standing deteriorates. It ceases to be an example that socialists hold against their opponents, and becomes an example that their opponents hold against them. During this period, Western intellectuals still support the experiment, but their tone becomes angry and defensive. The focus changes from the experiment’s supposed achievements to the supposed ulterior motives of its critics. There is a frantic search for excuses, with the blame usually placed on imaginary ‘saboteurs’ and unspecified attempts to ‘undermine’ it. There is plenty of whataboutery. Eventually, there always comes a point when the experiment has been widely discredited, and is seen as a failure by most of the general public. The experiment becomes a liability for the socialist cause, and an embarrassment for Western socialists. This is the stage when intellectuals begin to dispute the experiment’s socialist credentials, and, crucially, they do so with retroactive effect. They argue that the country was never socialist in the first place, and that its leaders never even tried to implement socialism. This is the deeper meaning behind the old adage that ‘real’ socialism has never been tried: socialism gets retroactively redefined as ‘unreal’ whenever it fails. So it has never been tried, in the same way in which, in Orwell’s Nineteen Eighty-four, the government of Oceania has always been at war with East Asia. This is not a conscious process, let alone a purposefully orchestrated one. There is no equivalent of an industrial standards body, which awards a ‘real socialism’ certificate of authenticity, and then withdraws it again with retroactive effect. Socialists do not hold clandestine conferences in secret hideouts; they do not deliberately cover up their former support for the regime in question. They simply fall silent on the issue, and move on to the next cause. At some point, the claim that the country in question was never ‘really’ socialist becomes the conventional wisdom. Since it is only the opponents of socialism who still refer to that example, while socialists themselves no longer do, it is easy to gain the impression that it must be a straw man argument. This book will show that these alleged ‘straw men’ were all once very much alive. They are not straw men at all. They are the failed utopias of yesteryear. Dr Kristian Niemietz is Senior Research Fellow at the Institute of Economic Affairs (IEA), and author of the books ‘Redefining the poverty debate’ and ‘A new understanding of poverty’. He holds a PhD in Political Economy from King’s College London, and an MSc in Economics from Humboldt Universität zu Berlin. Special thanks to Kristian Niemietz for the permission!